1. This is a unique guide which is work on almost all qualcomm Devices,so follow this one for any Qualcomm Device Writing. 2. Before Doing anything must Check your Device IMEI by Dialing *#06# if not correct then Follow Instructions. 5. 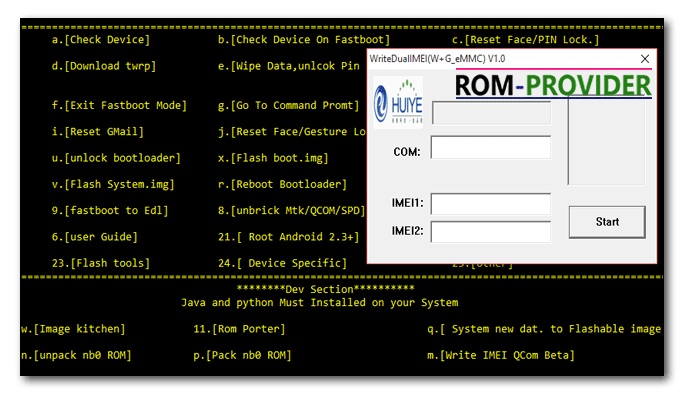 We can’t Promote any IMEI Changing activity this Guide is only to Repair Self Devices. 6. you can also use S- Droid toolkit by XNLogos@XDA which come with IMEI Writer. Step 9. when your Device is in Diagnostic Mod Run dual imei Changer/writer Write your origanal imei and hit Start to Process The Changing Process after success make system Reboot insert sim card. So this is a Complete guide to Repair IMEI Number on qualcomm Snapdragon Devices if you have any question use Comment Box.